Early Oregon saddlebags by S. A. Cox. Each bag measures 10" x 9". 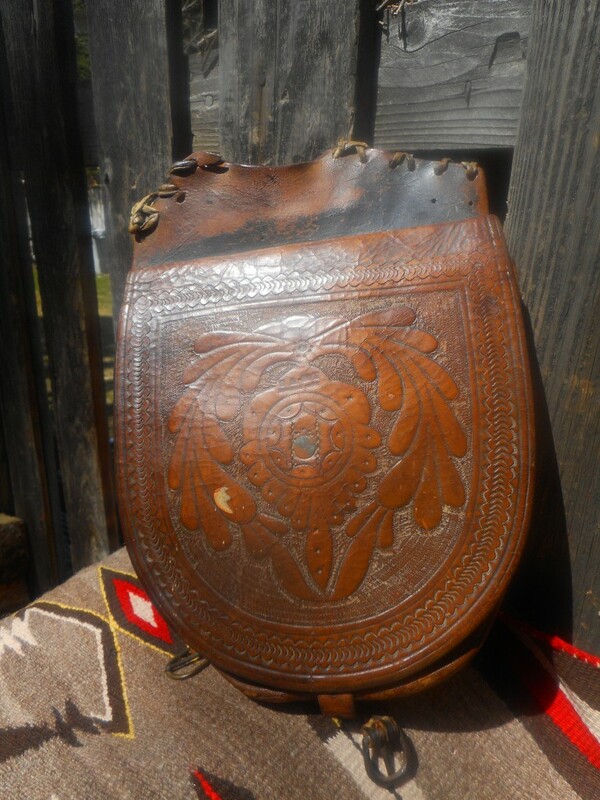 Wonderful tooling make these saddlebags very special. Great condition especially due to age. Circa: 1850.